OLD PARKED CARS. : 1952 Willys Aero Lark. Tony, you have done it again. I have no idea what this thing is. I thought Willys only made Jeeps! Did you get any shots of the emblem on the hood? if i recall, the western union courier who gave Marty, Doc's letter drove one of these at the end of back to the future 2. nice simple design. My camera and lens are no longer good enough, methinks. I couldn't hope to match that profile shot. Adding fins tag. Man, this car makes me want to make a "fender mirrors" tag. Is this thing tiny like a Metropolitan? Loving those proportions and big details. Corngrats on two best ofs in a row! OK, now that I know what this is, I can say it should be a best of. Wow, very ahead of its time. A true compact. Very clean, simple styling, but still with enough 50s pizazz. I saw your Hilux listed on CL; what a sweet truck, wish I had the cash. @greatwhitetiburon: you should win a prize for that piece of trivia. Why are you selling your awesome HiLux? It is such a cool little truck! What car do you think you will get next? That side profile shot is great. I spy a Ford F-100 behind it. Wiki: In 1952 Willys re-entered the car market with a new compact car, the Willys Aero. 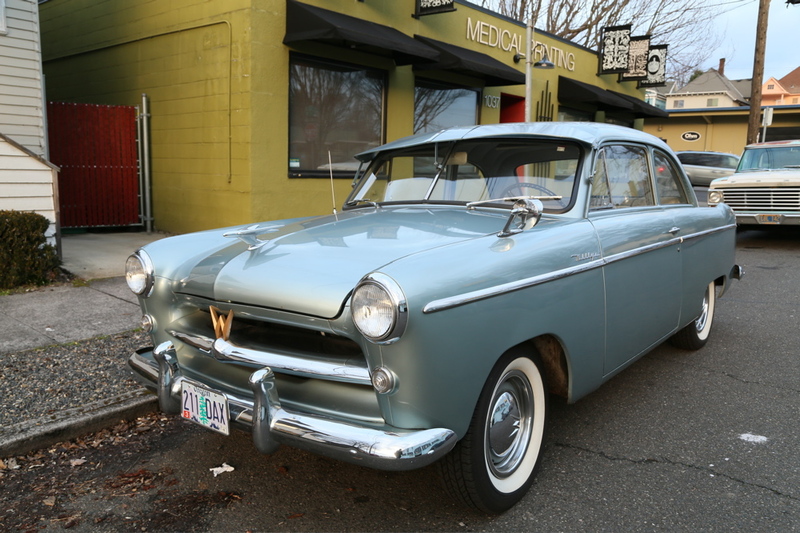 At first available only as a two-door sedan, it was available with either an L-head or F-head six-cylinder engine. Export markets could get the Aero with a four-cylinder engine. 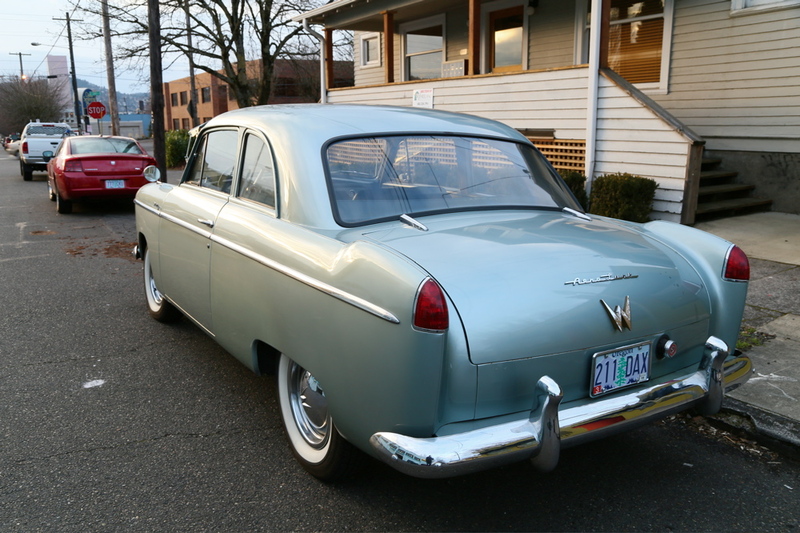 A four-door sedan and a two-door hardtop were added for 1953 along with taxi models. 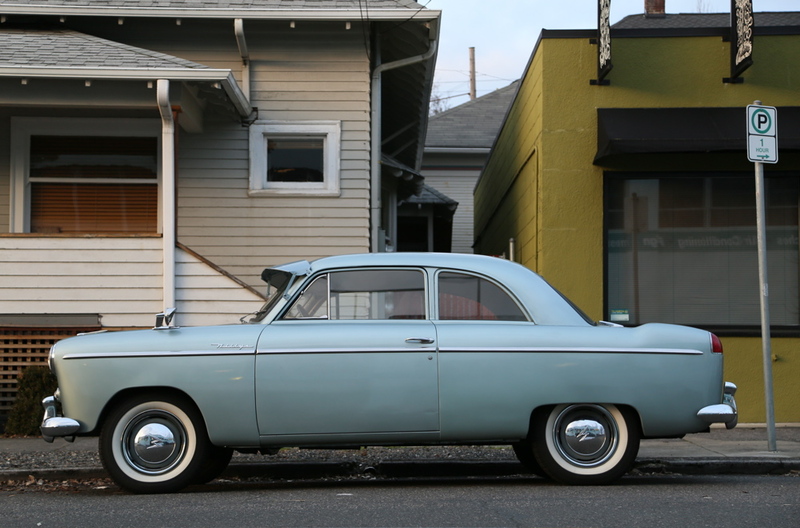 The Aero cars were called Lark, Wing, Falcon, Ace or Eagle depending on year, engine and trim level, except for a small production run in its final year (1955) with models called Custom and Bermuda. The bodies for the Willys Aero were supplied by the Murray Body company, which also made the bodies for the short-lived Hudson Jet. In 1953 Kaiser Motors purchased Willys-Overland and changed the company's name to Willys Motor Company. The same year, production of the Kaiser car was moved from Willow Run, Michigan, to the Willys plant at Toledo, Ohio. Sales of the Willys and Kaiser cars continued to fall. Willys established an assembly plant in Brazil in 1953, after the government prohibited the import of assembled vehicles as part of an import substitution program. After the last Willys passenger car was built in 1955, Willys shipped the Aero's tooling to Brazil, where it was built from 1960 to 1962, almost unchanged. Brooks Stevens restyled the Aero for 1963, and it was built by Ford(which bought the Willys factory) until the 1970s. parts. I have in my files a picture of a prototype designed by the great Brooks Stevens. to build a vehicle than the Big Three's did. Their idea to build these cars was genius. weight ratio was unreal. This meant that these cars could accelarate, and boy did they!